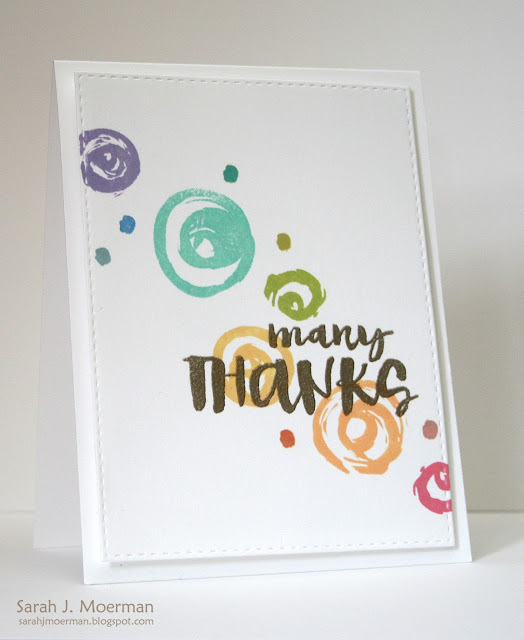 I'm back today to share a couple more cards I made using the fabulous new Simon Says Stamp The Color of Fun release. Today I'll be using Simon's new Many Thanks Stamp Set. If you missed yesterday's post where I focused on Simon's new Rollin Roller Coaster Die you can find it HERE. 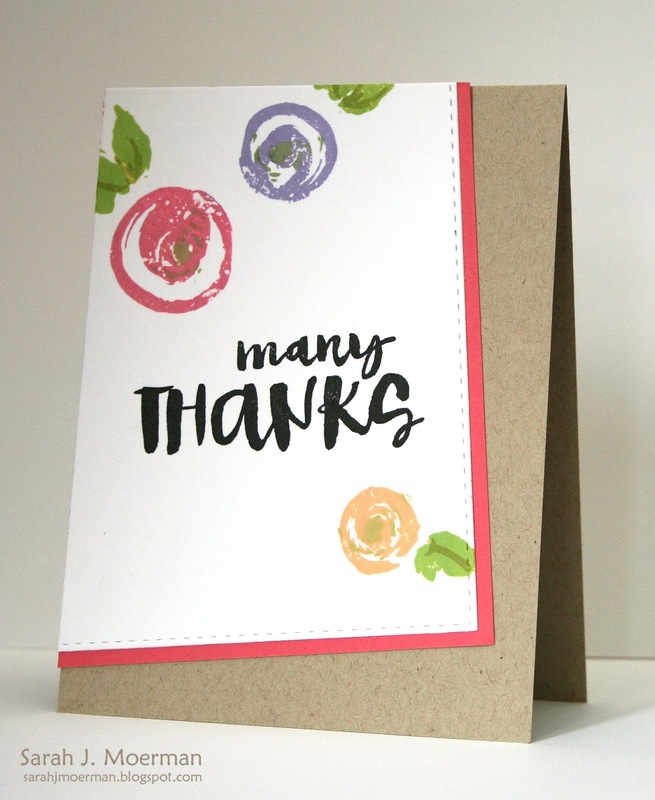 ...and the second card uses the flowers simply as circular elements on the card. For this card, I used ALL 12 of Simon's new ink colors so you can get a better idea of what they all look like. Sweet, sweet card! I'm loving this set!! Love this set ... and your rainbow cards. Always a hit with me. Gorgeous florals, Sarah! Love this set by Dawn W. Thanks, Paulette S.
I like these stamps! Gorgeous colours too! You've just made this WPlus9 set even more versatile! Thanks, Sarah! Both cards are so perfect! And thanks for using all 12 colors so we could see them! Lovely, they are! Simple but beautiful cards! Love them! 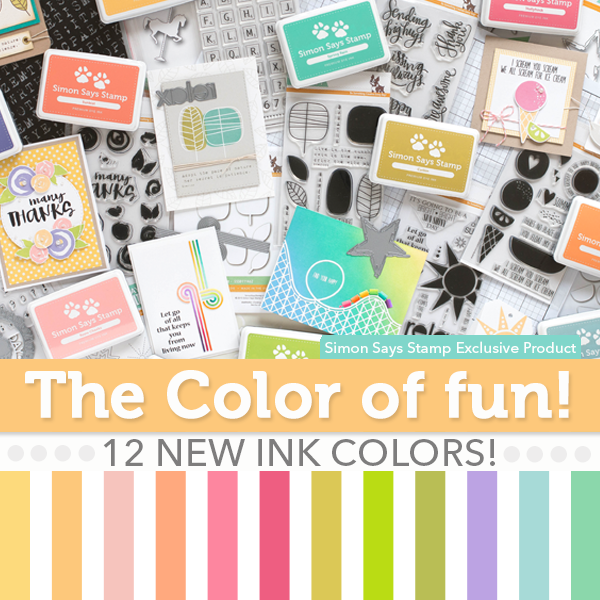 Simon Says Stamp The Color of Fun Release!! !